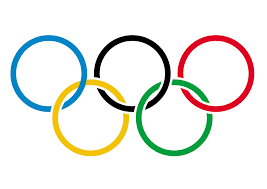 LAHORE, Aug 10 (APP): It was way back thirty-two years ago when on August 11, in 1984, Pakistan won the last of its three golds at the Olympics during the Los Angles Olympics. Though Pakistan were the reigning World Champions but it were not the favourites in the 1984 Olympics hockey pre-tournament ratings. Pakistan struggled in the pool games and remained unbeaten but drew three of the five matches. Their qualification for the semifinal depended upon the result of the last match of their pool, between The Netherlands and Kenya. Netherlands had to win by five goals but they managed only a three goals victory, thus paving the way for the green shirts to march into the semifinals. In the semifinal, Pakistan played a spirited game to beat Australia 1-0 with the goal coming from Hasan Sardar, the best forward of his time. In the final, Pakistan defeated West Germany 2-1 in extra time to win the Olympic title .Hasan Sardar and Kalimullah were the scorers of that memorable victory.